Blistering is the formation of dome- or circular-shaped bubbles of the coating film held away from the substrate. 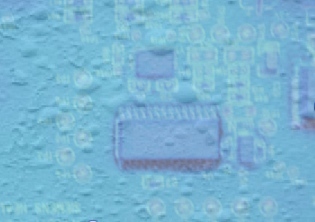 Examples are shown in the images where the conformal coating where blistering has occurred. Cleanliness: The cleanliness of the surface for good adhesion. If the surface is contaminated across a wide area then blistering can occur due to the poor adhesion of the coating to the laminate. 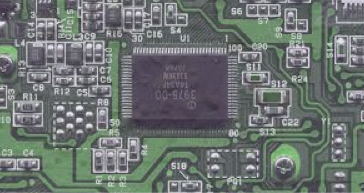 Compatibility: the conformal coating and the surface to be adhered to need to bond teogether. If they are incompatible then they will not bond. This incompatibility may by due to surface energies mismatch. If the conformal coating is not matched to the laminate then blistering can occur. Permeability to moisture: If the coating allows the moisture to permeate into the region between the coating and the laminate, then a difference in vapour pressure occurs. This could lead to osmotic pressures building due to a change in temperature and pressure, which lift the coating away from the laminate and cause a blister. 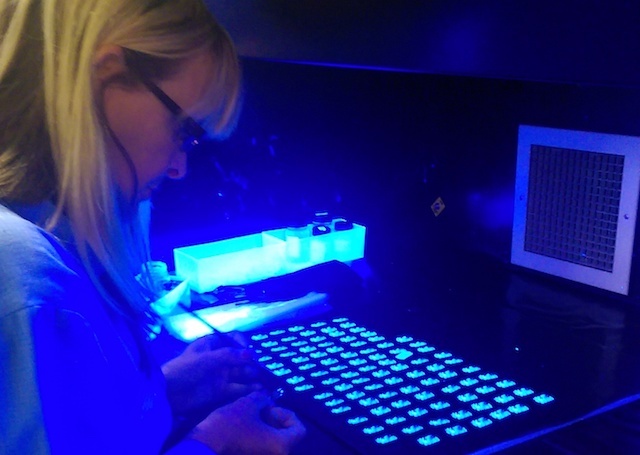 Degree of coating cure: If the conformal coating is not cured correctly then this can lead to adhesion problems.